The 'Magpie' team were the first to enter 'trapped' and would have achieved a much better time if only they had listened to the younger members of the team! Team Michael Arthur proved that they were prepared to go to any lengths to defeat 'trapped', including trying to squeeze into spaces they just weren't made to squeeze into! Fabulously entertaining. Girl power rules! These ladies showed no fear as they entered 'trapped', braving the perils of MR A H Tide. Even though they escaped they still showed signs that he had gotten to them psychologically. These guys tackled the room methodically, solving puzzle after puzzle. Mr A H Tide was very interested in this group, their intellect and screams the reason behind his games. their competitors should be concerned. for a small group they had a big impact on trapped avoiding the snares but not the horrors. But did you set the fastest time? The Dale Opticians team entered trapped with their eyes wide open and with every intention of making a spectacle of themselves! if it got them on the leader board. 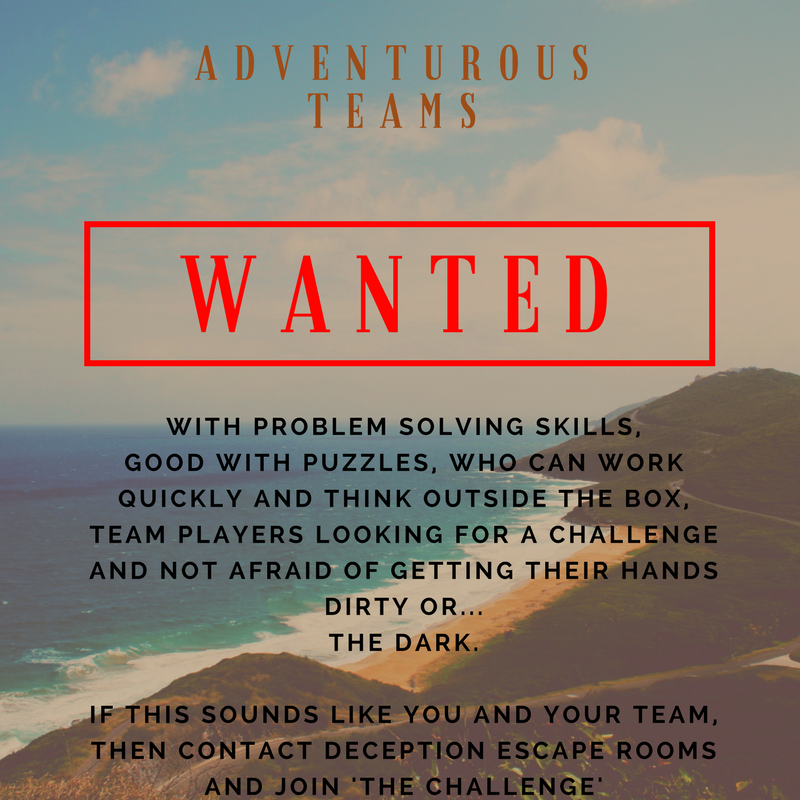 screams were heard deep within the bowels of trapped as mr a h tide and dr papet, teased and taunted them with their puzzles and horrors. escaping within a Re-spectacle' time. 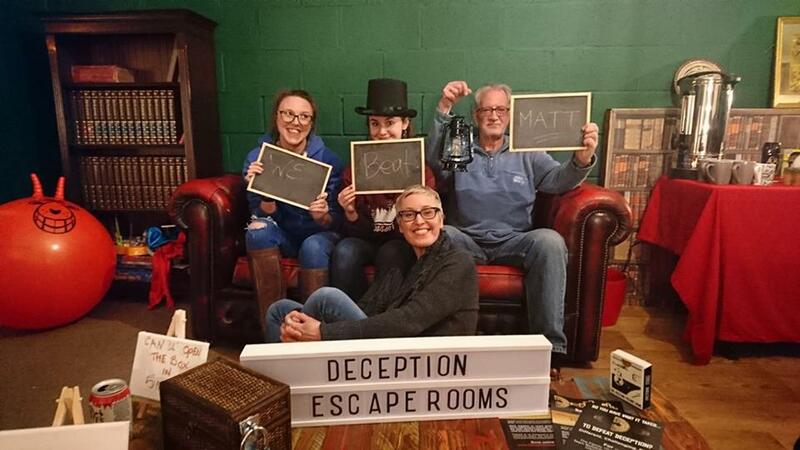 These guys devoured the puzzles being only distracted by the thought of Mr A H Tide, he definitely got into their heads, but was it enough to detain them and trap them in the bowels of trapped for ever?